Matt Rosendale, the current state auditor, is the perceived favorite in the Republican primary, among political analysts. 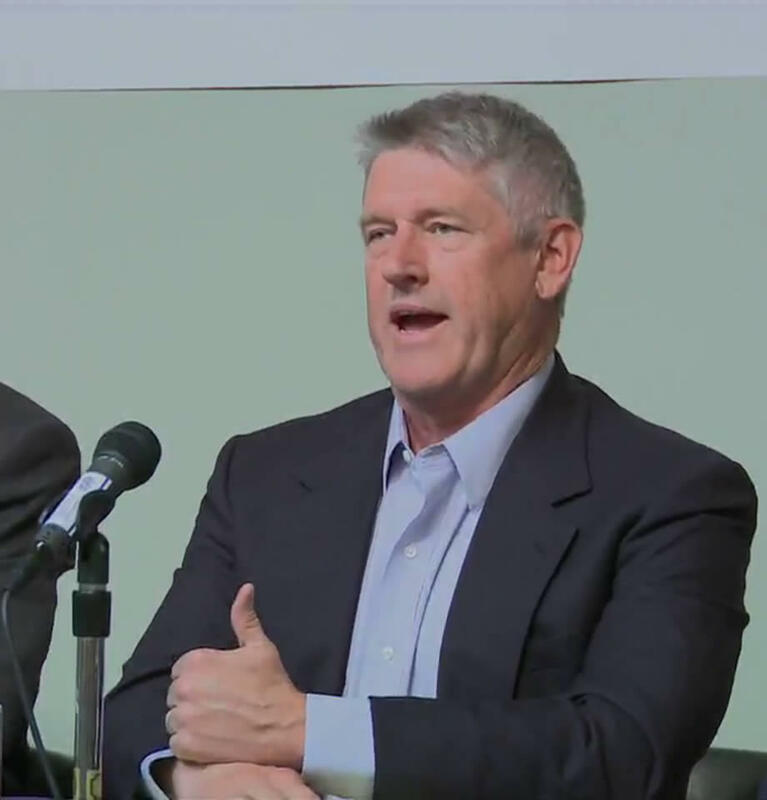 Russell Fagg at the Republican Senate primary debate in Helena, April 26, 2018. Early and often during the debate last night, Russ Fagg, a retired judge from Billings, made Rosedale his target for negative branding. Fagg is referring to a report from the Helena Independent Record which showed that Rosendale had signed a tax form related to a real estate sale indicating he was a resident of Maryland, not Montana, where he lived at the time. The story states the title company overseeing the sale took responsibility for the error and indicated Rosendale was not at fault. But the window for attacking Rosendale’s out-of-state roots was not missed by Fagg, or by Democrats. Each of the four candidates in last night’s debate responded to the frequent gambit used by Democrats, one likely to be used again if Republicans select a candidate not born in Montana to run against the native-born Jon Tester. 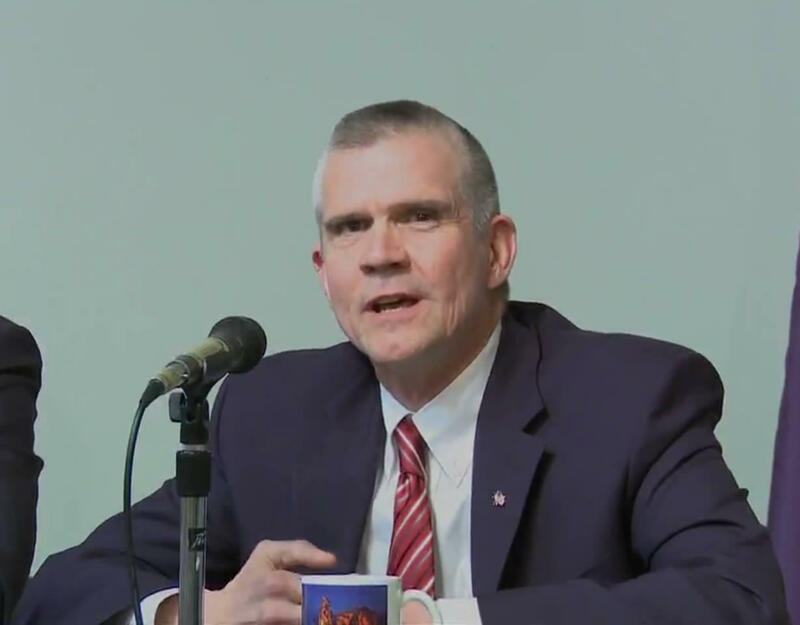 Matt Rosendale at the Republican Senate primary debate in Helena, April 26, 2018. The other Montana transplant in the Republican primary is Troy Downing. He was asked how he is going to overcome charges that he violated state law by buying state hunting licenses while also claiming he was a California resident to get a tax break on property he owns there. He faces a trial date on those changes at the end of May, Downing has pleaded not guilty. “So, really, what makes you Montanan? What makes you Montanan is what you care about, the people who think the same, the communities that you want to support. And I think we’ll get past that,” Downing said. Debate moderators also asked the primary contenders about the headline of day, that Ronny Jackson, President Trump’s pick for Secretary of Veterans Affairs, withdrew himself from consideration for the job. Trump said Jackson’s withdrawal would cause a lot of trouble for Jon Tester, the ranking Democrat on the Senate Veterans Affairs Committee. On Thursday, Tester released allegations brought by 23 unnamed service members who worked with Jackson, saying he over-prescribed painkillers and drank on the job. 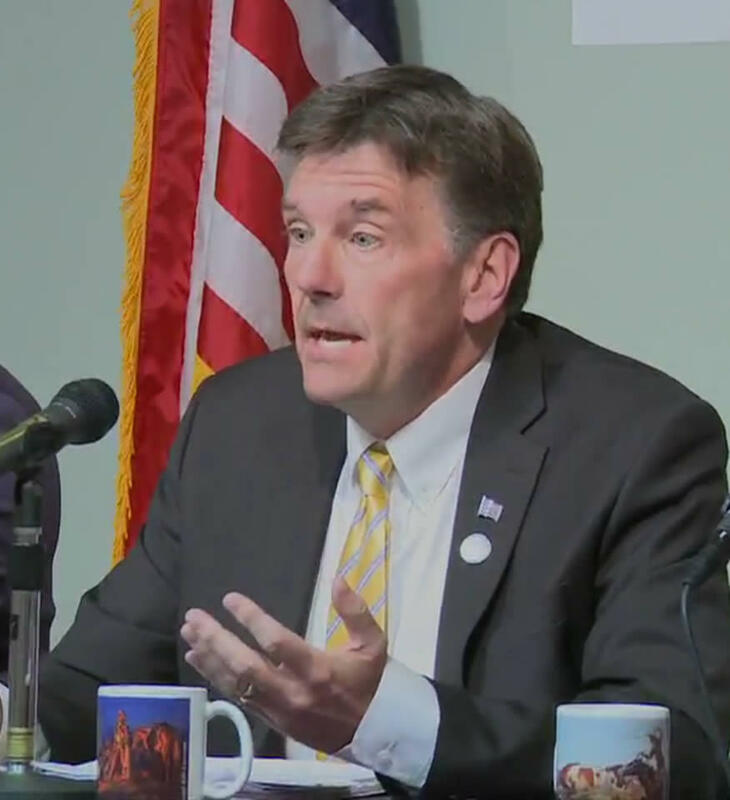 Albert Olszewski at the Republican Senate primary debate in Helena, April 26, 2018. "We have our own senator from Montana who bullied a fine man to the point where he decided to pull himself out of the confirmation hearings,” said Albert Olszewski, who served 10 years as a physician in the Air Force. “Anonymous people making accusations that can take somebody down like this; that’s just not the America that I want,” Troy Downing, also an Air Force veteran said. The primary candidates’ embrace of President Trump and his decisions has defined several of their campaigns. Albert Olszewski, Russell Fagg, Troy Downing and Matt Rosendale during the Republican Senate primary debate in Helena, April 26, 2018. Russ Fagg was the only candidate who said he doesn’t support the tariffs. And he used it as another opportunity try to undermine Rosendale. “Excellent article in the paper, either yesterday or today, calling out Matt for his support for the tariffs. This is going to decimate Montana industry, which is the heartbeat of our country,” Fagg said. Albert Olszewski, who calls himself the dark horse in the race, was asked how he expects to win when he isn’t raising or spending as much money as his opponents. “This race isn’t about endorsements, it’s not about money, it’s about the message,” he said. Olszewski said he’s the candidate who checks off the most boxes voters care about, and can appeal to the largest number of them. He said he’s a small business owner, a current state legislator, and an Air Force veteran. 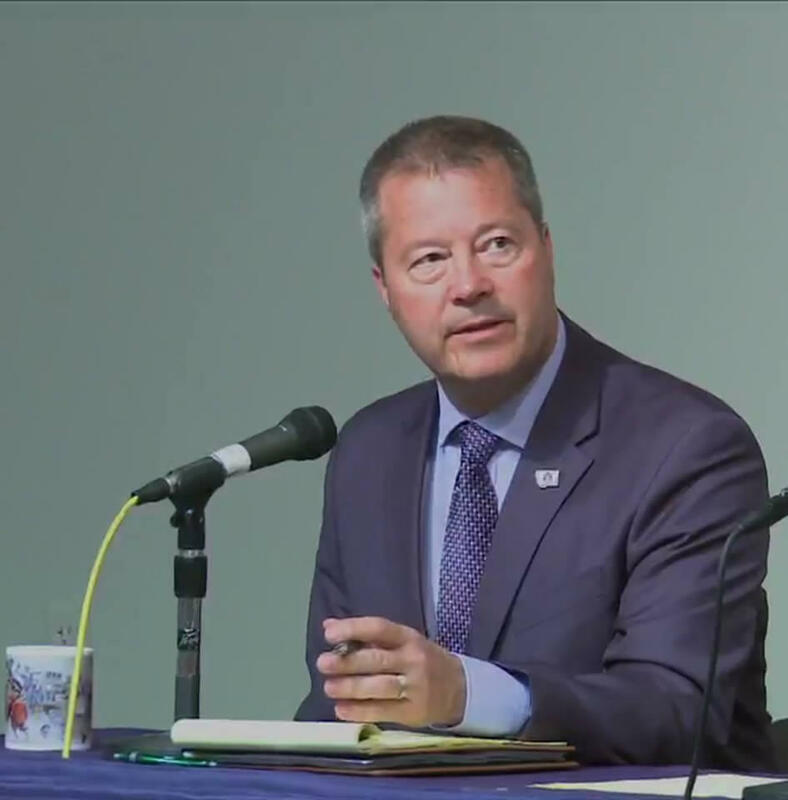 Troy Downing at the Republican Senate primary debate in Helena, April 26, 2018. Troy Downing’s final message of the debate was that he understands what he calls the American dream. Russ Fagg continued to hammer that his campaign is the most local of the bunch. Matt Rosendale, taking on the assumed role of front runner, looked past the primary and started attacking Jon Tester. 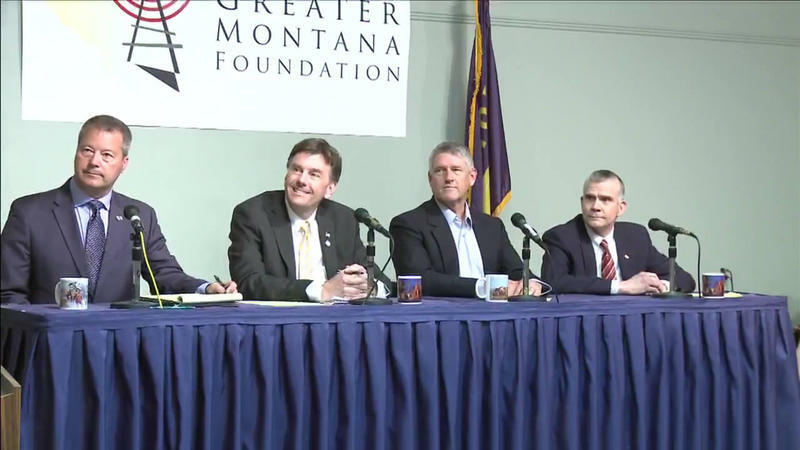 The Greater Montana Foundation hosted last night’s debate, moderated by journalists Mike Dennison of MTN News and MontanaPBS’s Beth Saboe. Full audio of the debate is available here. 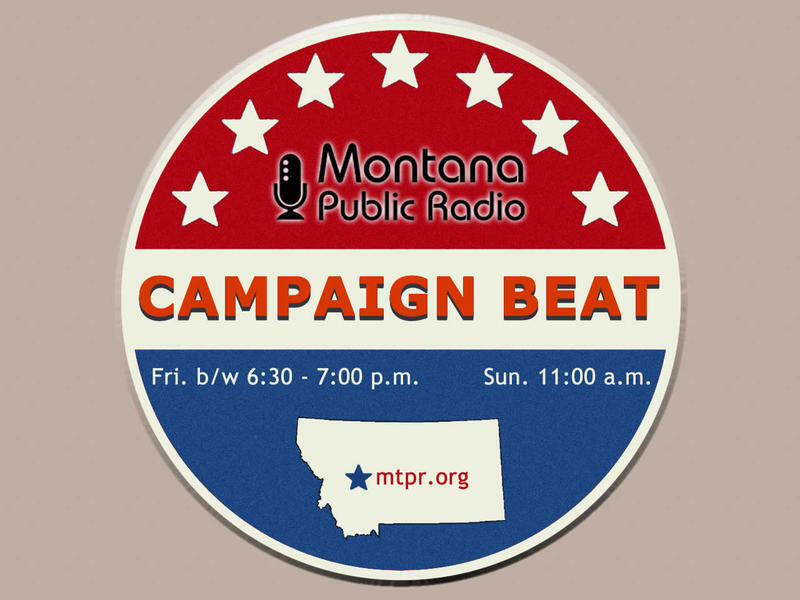 Democrats competing to challenge Congressman Greg Gianforte will face off next Thursday in a similar debate, also hosted by the Greater Montana Foundation. 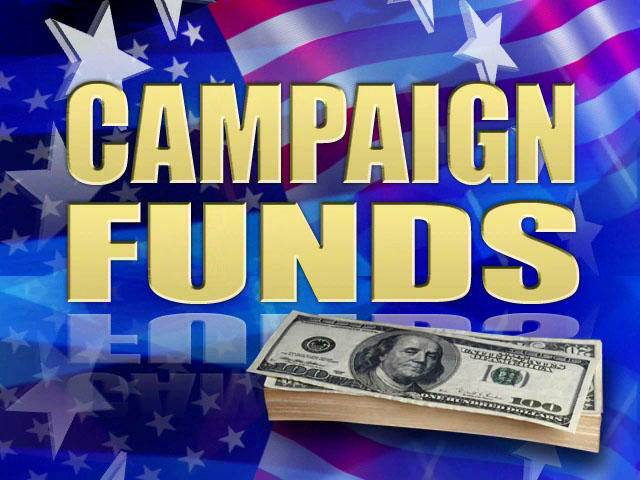 The primary election is June 5. Regular voter registration ends May 7.